13 February 2019 Columbia 8:30 a.m.-10:30 a.m.
New U.S. tariffs and trade deals are disrupting business supply chains worldwide. Tougher rules on foreign investment in the U.S. are having a chilling effect on investors and the ability of U.S. businesses to attract foreign capital. Understanding these developments and dynamics is critical to companies in our region. K&L Gates and the Darla Moore School of Business are hosting a discussion on navigating the volatile international trade and investment landscape. The panel will feature representatives from the national, state and local levels. Time will be allotted at the end of the panel for questions from attendees. Continental breakfast is included. Parking is available in the Park Street Garage. No charge to attend but space is limited. RSVP by Friday, February 8 at the link above. Please contact for more information. Ms. Ettinger has 25 years of experience working with U.S. and foreign government officials and assisting businesses in navigating complex regulatory and compliance regimes. 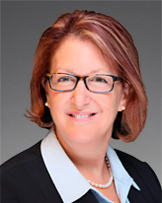 Ms. Ettinger joined K&L Gates after serving as senior legal and policy advisor to the Senate Democratic Leader, Charles Schumer, on international trade, investment, and regulatory issues. Prior to her work on Capitol Hill, Ms. Ettinger served as a senior lawyer at the U.S. Commerce Department, representing the United States in trade negotiations, enforcement proceedings, federal litigation, and international dispute settlement. As director of the International Strategy and Trade division, Amy Thomson is responsible for the growth of foreign direct investment and export activity in South Carolina. Prior to this role, Amy led the Existing Industry program at SC Commerce, a business retention and expansion program that caters to manufacturers and distributors to monitor their needs and assist in leveraging the many resources available in the state. Before re-joining SC Commerce in August of 2014, Amy was senior international trade specialist with the US Department of Commerce’s Commercial Service. In this capacity, she assisted South Carolina firms in selling their products overseas. Before that, Amy worked at SC Commerce as an international trade manager, leading trade missions throughout Canada, Mexico, Central and South America. Dr. Hauk has taught international trade, intermediate macroeconomics, principles of macroeconomics and government policy toward business at the undergraduate levels and regularly teaches an international trade course for the doctoral program. His research interests focus primarily on issues of political economy and their impact on a country's international trade preferences and economic growth prospects. He received a Ph.D. from the Graduate School of Business at Stanford University in California and a B.S. from the School of Foreign Service at Georgetown University in Washington, D.C. 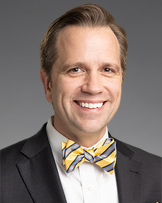 Prior to joining the Moore School, Dr. McDermott was an assistant professor of multinational management at the Wharton School, University of Pennsylvania for seven years and held a secondary appointment in the Department of Political Science. He specializes in international business and political economy. McDermott received his Ph.D. from the Department of Political Science at MIT. Along with numerous economic and political publications and research projects, McDermott has also consulted for the multilateral lending institutions and the governments of the Czech Republic and Argentina. W. Ford Graham is an of counsel in the Charleston office. Mr. Graham has over 10 years of experience working in the economic development sector where he has been one of the leading recruiters of international companies to the Southeastern United States. Prior to joining K&L Gates, Mr. Graham served as Director of International Strategy & Trade for the South Carolina Department of Commerce. In that role, he directed all aspects of the agency’s international efforts including South Carolina’s four international offices in Delhi, Munich, Shanghai, and Tokyo, uncovering Foreign Direct Investment opportunities, and assisting South Carolina companies with exporting their products to the rest of the world.